Whether you’re planning a short city break in Bruges, gearing up for a family holiday to Barbados, packing for a ‘staycation’ in Bognor Regis, or training for a trek through Bangladesh, you’ll be able to capture amazing photos and travel light with our top picks of the best compact cameras for travel and holidays in 2018. Keeping the weight down is a common requirement for a travel camera, which is why we’ve narrowed our selection to only compact digital cameras – they’re light, compact, and feature packed so you know you’ll be able to come home with some truly memorable travel images. Different holiday destinations have different needs though – you might want a more stylish premium compact camera if you’re wandering the city streets, hunting out cool coffee shops and taking in everything cultural, whereas a waterproof, shockproof, go-anywhere compact camera might be more appropriate if you’re off on a summer holiday with the kids! One of the most affordable and capable compact digital cameras available in 2018 is the brilliant little Canon IXUS 185. It’s Canon’s latest compact camera and packs a 20 megapixel sensor with 8x optical zoom in a super slim, pocketable body. The Canon IXUS 185 is perfect for travelling anywhere, if you just want a camera that will take great photos without loads of fiddly settings. It’s one of the slimmest compact cameras on the market and shoots 720p HD videos, as well as using the powerful Canon DIGIC image processing. 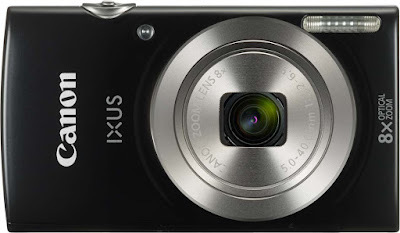 It’s the latest in the renowned Canon IXUS lineup and is designed for hassle-free, easy, point-and-shoot photography. The compact size makes it perfect to slip into a pocket. The compact and slim Canon IXUS 185 is available in three colours – black, silver, or a fetching red and is available to order today from Park Cameras. Whether you’re off on a more adventurous holiday, perhaps climbing Everest or traversing the Sahara, the GoPro Hero5 Session action camera is the ultimate in compact, high quality, 4K video, voice activated device for capturing stunning footage and images of your trip. And even if you’re holidaying somewhere less extreme, the Hero5 Session is a camera you don’t need to worry about. You can give it to the kids and let them take it swimming or leave it on your beach towel and not worry about getting sand inside it; it’ll be fine! This little cube GoPro hardly takes up any room in your bag and is perfect for taking anywhere you go. Beyond recording gorgeous 4K video, it will also capture 10 megapixel still images so you can still get those still shots. The GoPro Hero5 Session is a fantastic alternative to the traditional compact camera, offering a different perspective for your holiday images. 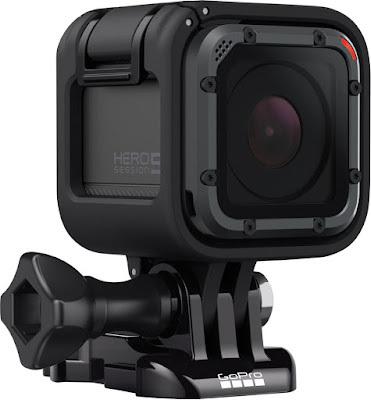 Alternatively, a more affordable action camera option is the ISAW Edge, a 4K action camera that will also record 16 megapixel still images and is Wi-Fi connected, just like the GoPro Hero5 Session. For a totally different take on the traditional holiday snaps, the Ricoh Theta V is part of the latest breed of digital cameras – spherical 360 degree cameras! These innovative devices uses two cameras facing back to back, along with some very clever technology, to record spherical video and still images that let you interact with the image and see around you. The Ricoh Theta V is the ultimate in 360 cameras, shooting ultra high definition 4K video and 14 megapixel still images via a sharp f/2.0 lens. It’s got 19GB of internal memory and a single battery charge will last for 80 minutes of video or around 300 photos – plenty to get you through the day. There’s an optional waterproof housing as well, which means you can go swimming with the fishes and capture incredible 360 degree video underwater, and a separate optional microphone is capable of recording 360 degree spatial audio, for a truly immersive experience. Capture your travels in totally new way with the Ricoh Theta V 360-degree digital camera! 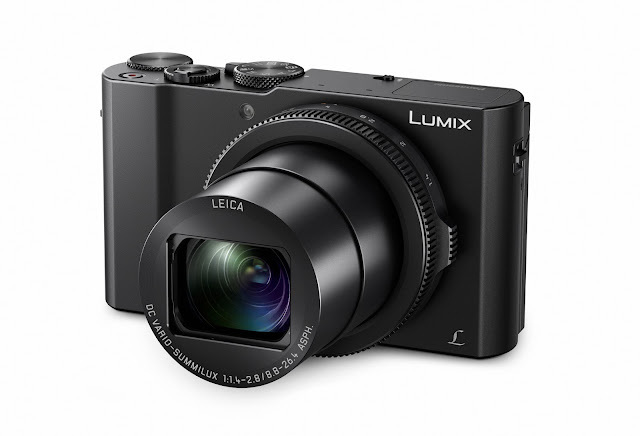 Featuring an immensely powerful 24-720mm Leica DC Vario-Elmar superzoom lens with a 30x optical zoom, the Panasonic Lumix TZ90 is the perfect all-in-one travel and holiday compact camera. Sporting a high-resolution 20.3 megapixel, high-sensitivity MOS sensor and the excellent Venus Engine image processor, the Lumix TZ90 will capture stunning 4K video footage at a smooth 30 frames per second, which is easily visible on the large and sharp, tilting 3″ LCD touchscreen. With 5-axis hybrid Optical Image Stabilisation for video and Power Optical Image Stabilisation for photo, recording stable holiday video is easier than ever. Wi-Fi makes it a breeze to share your holiday images direct from the camera to your smartphone – which means you don’t have to use a computer. There’s also Panasonic’s advanced features including Post Focus which lets you choose the focus point in an image after it’s been taken, and Focus Stacking which lets you compile multiple photos with different focal points together into a single, ultra sharp image. Extra functions include Self Shot mode, Panorama Selfie, and Beauty Retouch so you can get really creative with your travel photography. With a big sensor and a bright lens, the Sony RX100 III is a pocket-sized compact camera that produces stunning quality images, making it ideal for capturing those precious summer holiday memories, giving serious image quality and extreme portability. 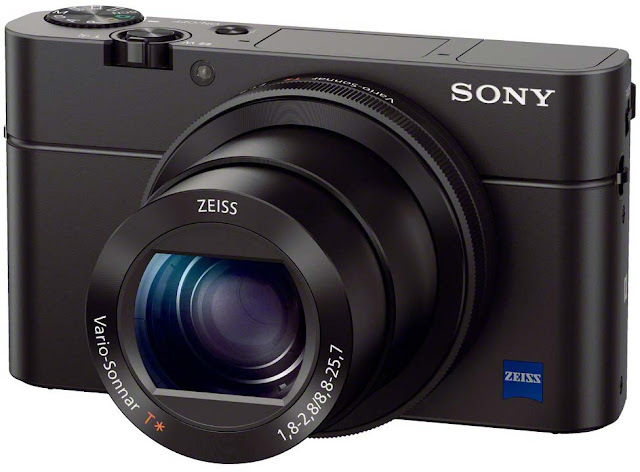 Featuring a 1-inch 20 megapixel back-illuminated Exmor R CMOS sensor and a ZEISS Vario-Sonnar T* 24-70mm f/1.8-2.8 lens with 2.9x optical zoom, the RX100 III is the third in Sony’s famous RX100 series (they released the Mark V in 2016), and can comfortably handle low light situations thanks to the ISO sensitivity up to 25,600. 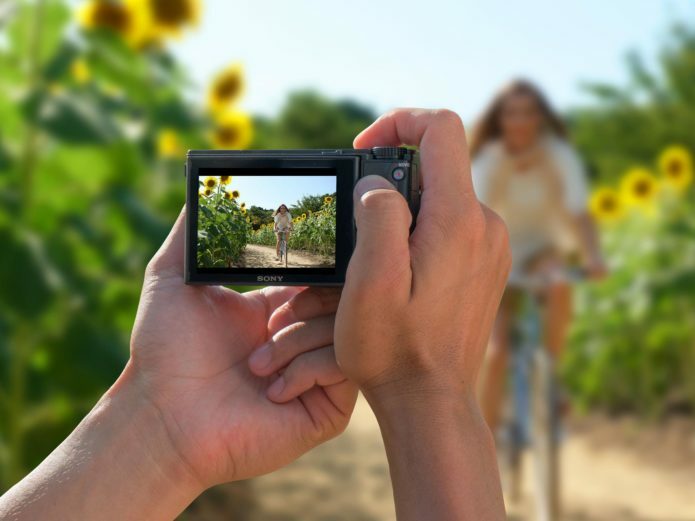 A bright OLED view finder and 180-degree tilting LCD screen give detailed viewing for easy shooting, and the sleek, compact aluminium body of the Sony RX100 III looks great and means you can travel light while knowing that you’ve got an immensely powerful camera in your pocket that’s ready to go whenever you are. 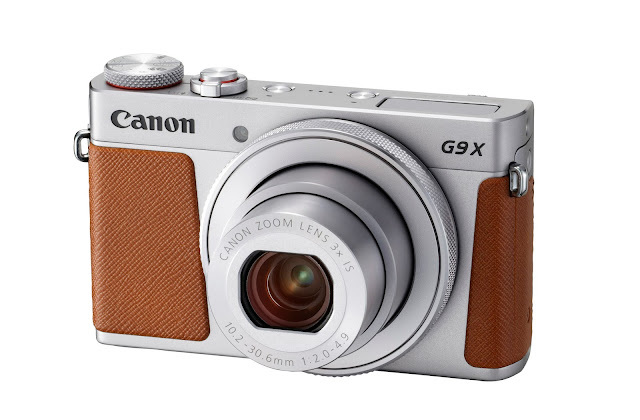 The second iteration of Canon’s G9X compact camera, the PowerShot G9X Mark II is a gorgeous, sleek and stylish compact digital camera packing a high-resolution 1-inch 20 megapixel sensor and is powered by Canon’s DIGIC 7 image processor, the same as found in the Canon EOS M5 and G7 X Mark II. 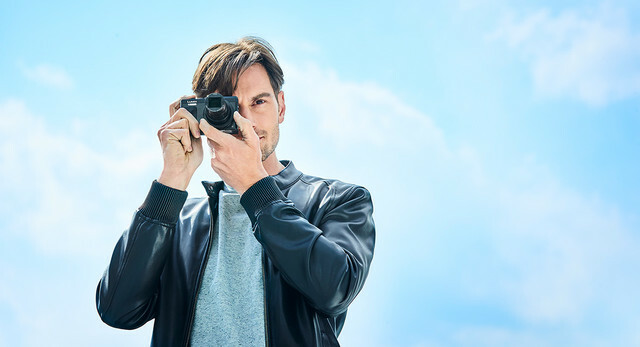 With Full HD video recording and an f/2.0 3x optical zoom lens, the G9X Mark II is a premium compact camera that also features Wi-Fi connectivity for easy sharing of your travel pictures. The G9X Mark II is a more than just a holiday camera, it’s a powerful, versatile, go-anywhere compact digital camera that will continue to delight you with outstanding quality images long after you return from your travels. 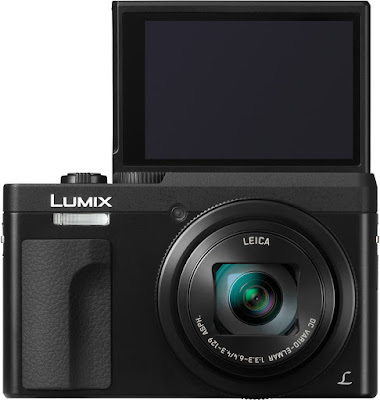 Another 4K video camera in this line-up, the Panasonic Lumix LX15 is a fantastic, small and stylish compact camera that’s full of outstanding features, making it an ideal candidate for travel or holiday photography. Inside the Lumix LX15 is a powerful 1-inch 20 megapixel sensor, and the images come courtesy of a gorgeous 24-72mm f/1.4-2.8 Leica lens, so the images are sharp and clear. With 4K video recording, the LX15 will capture stunning movies of all your holiday memories, but there’s a host of advanced features that make this a serious compact camera. There’s Post Focus and Focus Stacking for after-image adjustment, 4K photo for burst shooting at 50fps of 4K images, Full HD high-speed video, and a 3cm Macro ability – which makes this a truly versatile camera. If you’re in the midst of the action, the LightSpeed autofocus with DFD (Depth From Defocus) technology will quickly snap onto your focusing target, and with a frame rate of 10fps in AFS and 7fps in AFC, you know you’ll be capturing those important moments. Holiday life is made even easier with USB battery charging (so you can charge it almost anywhere), and a bright 3-inch 1,040k-dot tiltable touch screen. 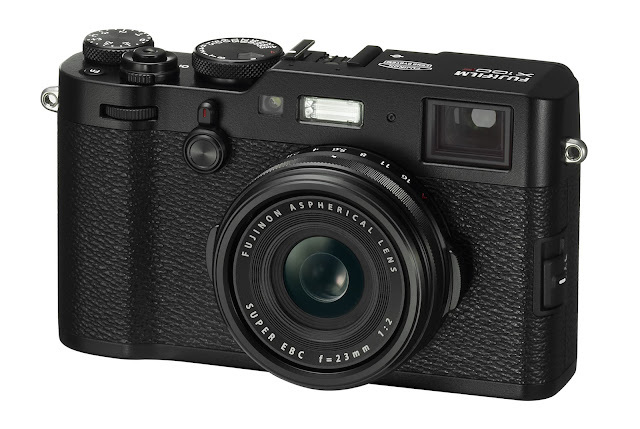 The latest in Fujifilm’s X100 series, the X100F is a premium compact camera with an outstanding APS-C sized 24.3 megapixel CMOS sensor, making it perfect to go anywhere and capture anything, whether you’re holidaying abroad or staying home this summer. Fujifilm is renowned for their superb reproduction of colours and tonal gradation, and the X100F is no exception, and with the X-Processor Pro image processor powering everything, this is a high-performance compact camera. Images are captured through a stunning 23mm f/2 Fujinon lens, and because this compact camera has done without a Low-Pass filter, it’s capable of capturing much higher levels of detail than other compact cameras. You’ll always be ready to capture precious moments with a start-up time of only 0.5 seconds, a time between shots of only 0.2 seconds, a shutter release lag time of only 0.01 seconds and a super-fast autofocus time of only 0.08 seconds. The 91 focus points on the Fujifilm X100F are paired with Phase Detection AF and Contrast AF which makes focusing on your chosen subject easier, quicker, and more precise than ever. The advanced hybrid viewfinder makes taking photos easy and clear, and with a host of other features including Film Simulation modes and Wi-Fi operation via the camera remote app, the Fujifilm X100F is an outstanding premium compact camera that will last you for years, even after your holiday is over. Much like the Fuji X100F, the Canon PowerShot G1X Mark III is a premium compact camera with all the bells and whistles you’d usually expect to see on a mid-range DSLR camera. With a large APS-C sensor packing 24. megapixels, Full HD video, a fast DIGIC 7 image processing engine, and Canon’s famed Dual Pixel CMOS AF focusing system, the PowerShot G1X Mark III stands out in the range of compact cameras as a camera worthy of any serious photographer. On the front there’s a nice, bright f/2.8 lens with a focal length of 15-45mm (equivalent to 24-72mm in 35mm terms), which is a great range for everyday shooting and means the G1X Mark III is capable of shooting anything from events and party shots, to portraits and landscapes. Overall, the Canon G1X Mark III is stuffed full of features that make it a wise choice for any photographer who is looking for a serious compact camera that’s not only pocket-friendly but also capable of delivering brilliant quality image and video. 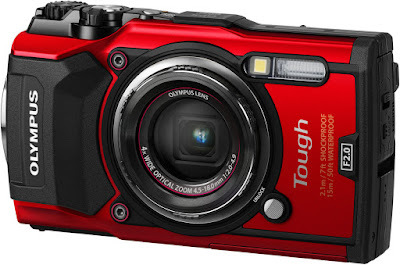 As rugged, tough travel cameras go, you can’t go far wrong with the Olympus Tough TG-5. This is a tough action camera that’s waterproof, freezeproof, as well as being crush, shock, and dustproof to boot. It’s a versatile, 4K video shooting, compact camera for travel that comes with a battery of ‘Field Sensors’ that add data to your images and video. As if that’s not enough, the TG-5 features a stunning 12MP sensor that’s been optimised for low light performance with larger pixels than its predecessor – perfect for shooting in murky water. It also features the same Pro Capture Mode for high speed shooting that you find Olympus’ top-of-the-range OM-D E-M1 Mark II, and the same user interface too. Wherever you’re going, whatever you throw at it (or throw it at), the Olympus TG-5 can handle it, and will deliver stunning images and 4K video that will wow your friends and family.